My work requires me to spend a lot of time traveling, often by myself, so I know how liberating it is. I also know how expensive it is to travel alone. So, I’d rather wait up for friends. But, once in a while, I have to go on a vacation alone, especially when most of my friends have been to this place I am eyeing, and doesn’t want to go back there just yet. Good thing there was a seat sale to nudge me into a decision. 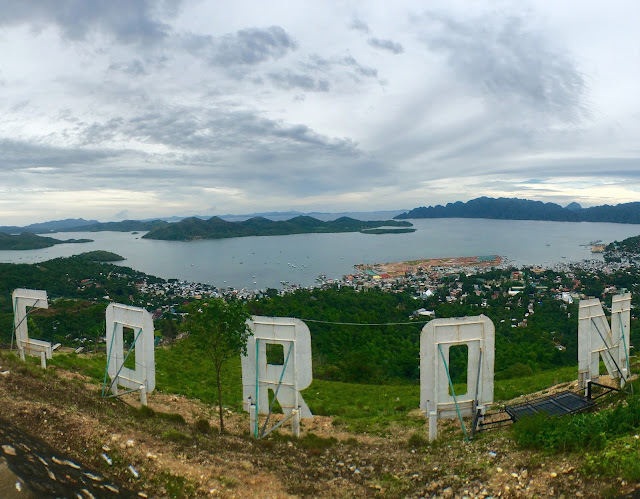 So, I finally got to visit Coron. Yay! I know Coron has already been established as one of the must-see places, not just in the Philippines, but also in the world. 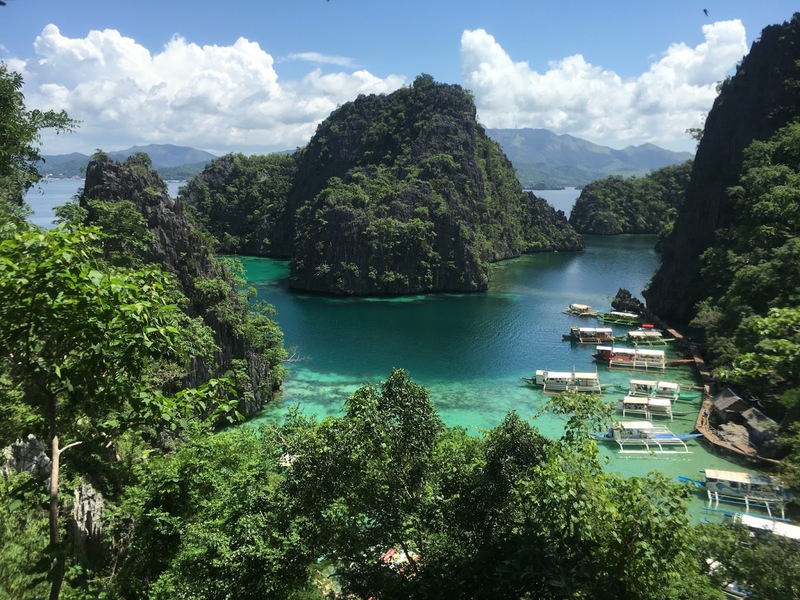 Palawan is recently named the best island in the world in the Travel + Leisure Best Awards, and Coron is one of its jewels. But, aside from that, it is also one of the best places in the country to travel solo. First off, Coron welcomes solo travelers. In fact, they have tour packages available for solo travelers, but I opted not to get one because I didn't want to commit myself to a set itinerary. 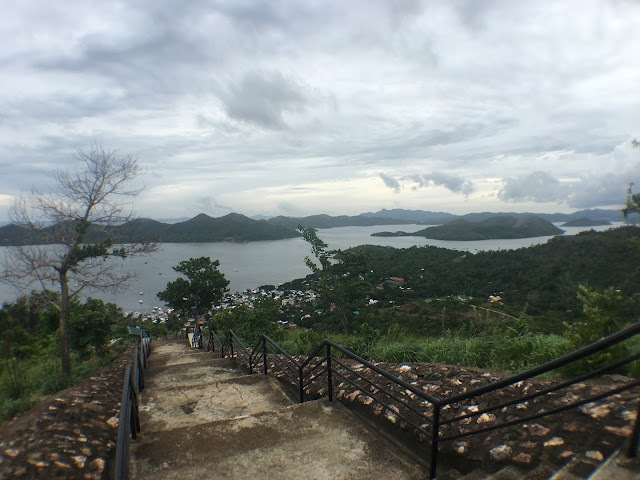 Also, I didn’t get the feel that Coron looks at women solo travelers as those in an Eat, Pray, Love kinda thing, or somebody either running away or looking for someone. I was never asked why I was traveling solo, which was often asked of me in other places I visited. Or, maybe nobody just dared ask. Another reason why Coron is good for solo travelers is that this charming town is so easy to get to (just P 150.00 per head from the airport via air-conditioned vans) and to navigate. 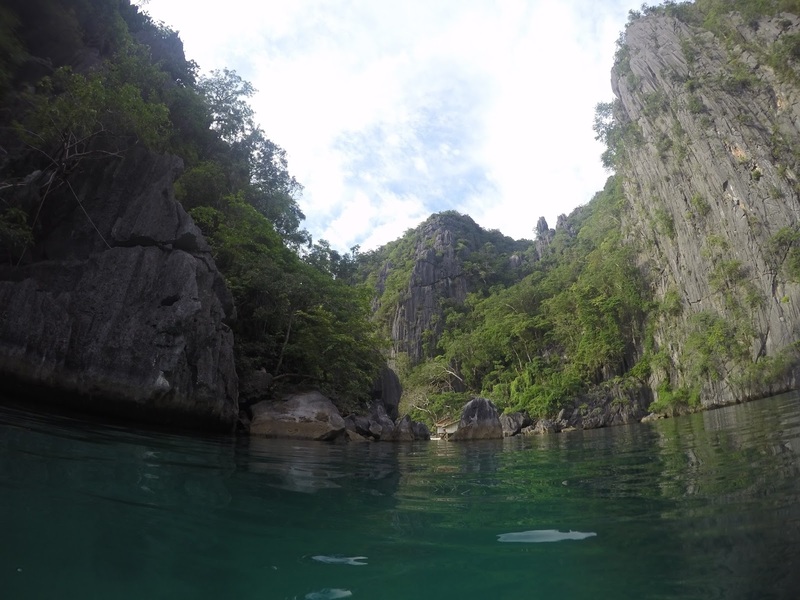 Everything in Coron is nearby and accessible via tricycle ride. Also, despite its popularity, Coron Town still exudes the vibe of a provincial area. It is not so crowded, everyone smiles, and no one is hassling you to buy their wares nor get any of their tour packages. 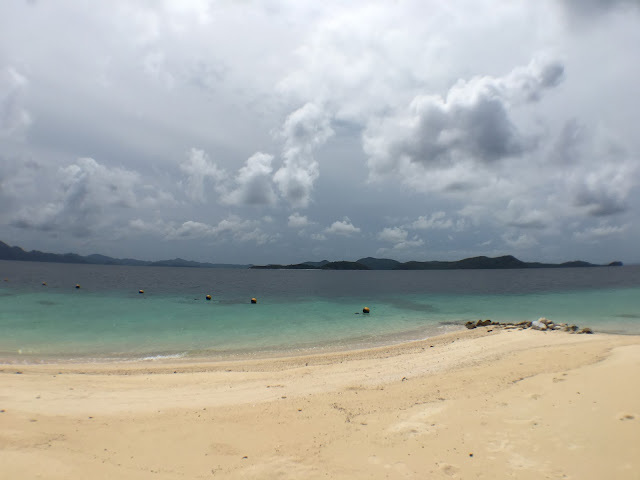 BTW, Coron is both the name of the largest town on the island of Busuanga and the name of a small island, about 20-minute boat ride away from the town. 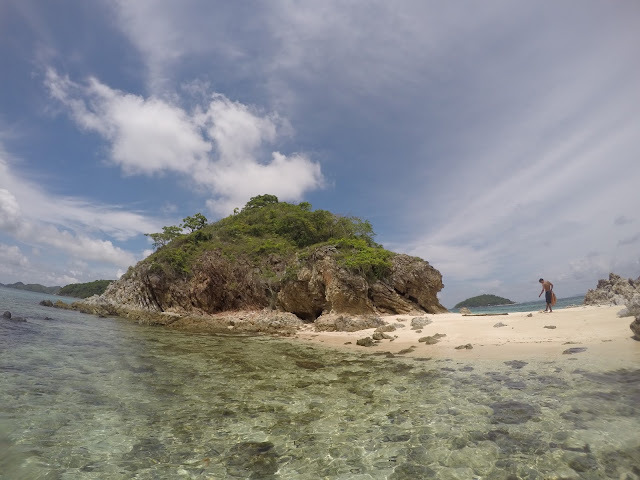 The town is the jump-off to all the adventures on and around Busuanga Island. No white-sand beaches here nor resort type accommodations. The town is basically the place to recharge for the next escapade. It has its own attractions, though. The usual first day’s tours are Mt. Tapyas and the Maquinit Hot Springs, which I also did. 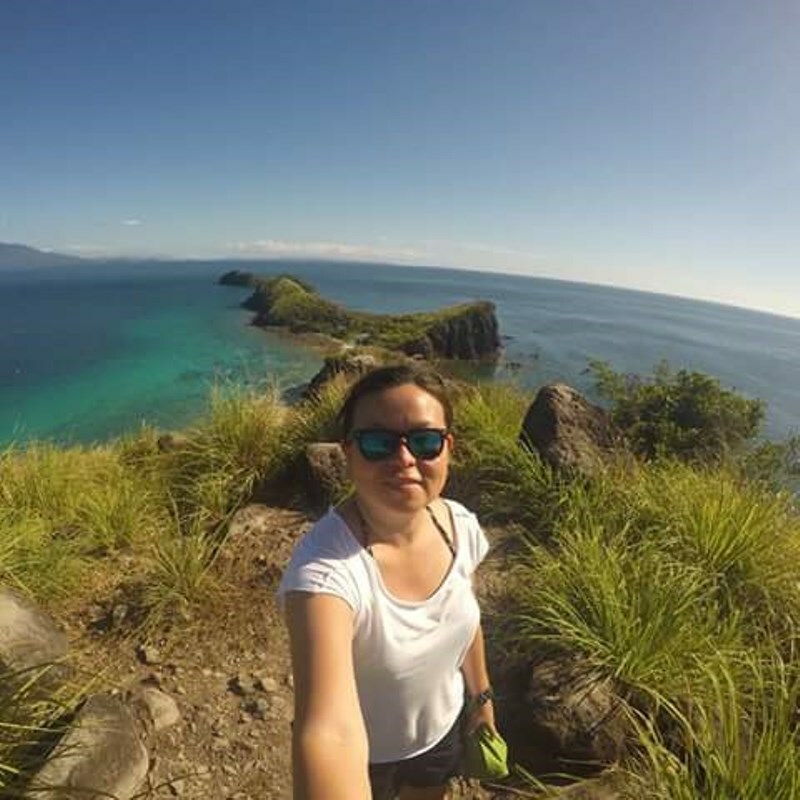 I rented a tricycle for P 300.00, which took me these two destinations. Mt. Tapyas is Coron’s second highest at 210 meters. Don’t be discouraged from climbing though even if it takes 700 plus steps. The view on the way up is awesome, and there are rest stops. At the top of the steps is a view deck, marked by a huge metal cross. 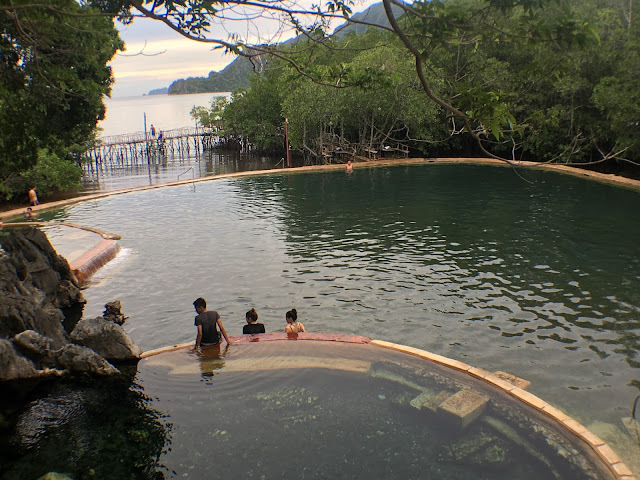 There, guests enjoy a bird’s eye view of the Coron Island, where the Kayangan Lake, Twin Lagoon and Siete Pecados are located; and the rest of the Calamianes group of Islands. Even if it was a fairly easy climb, it was still tiring, and the perfect way to soothe my tired muscles was a dip in the saltwater hot springs of Maquinit, located 30 minutes away from Mt. 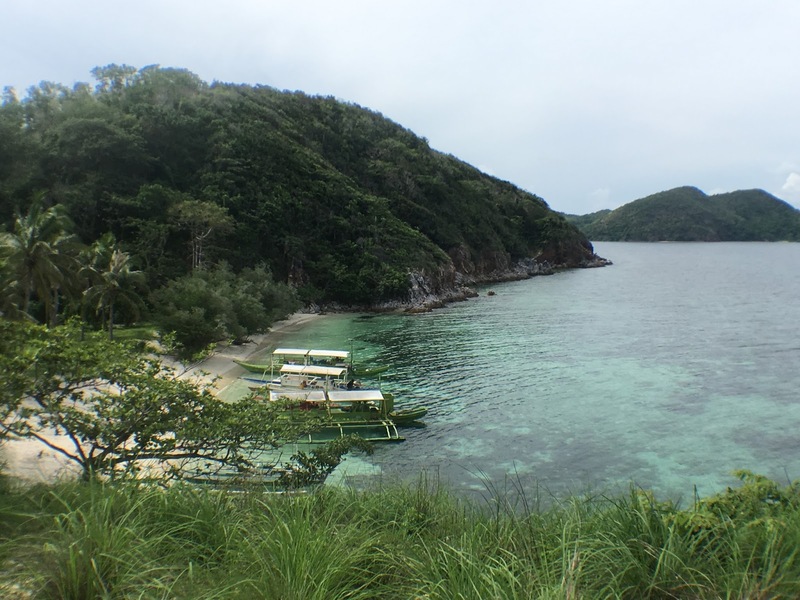 Tapyas, along the southern coast of Busuanga Island. The spring has a two-tiered circular pool and is surrounded by a mangrove forest. I was tempted just to enjoy the mesmerizing view from one of the huts built near the mangroves, but one of the staff approached me and asked me to leave as it was almost time for the snake resting in the hut to wake up. That was my cue to try the pool. The first dip was a bit unbearable but after a while, it became super relaxing. For the rest of my stay in Coron, I just booked my tours. Tour operators are scattered around town, and it is so easy to find them. There are also a few at the airports, plus of course those that have an online presence. I would have wanted to rent my own bangka and follow my own itinerary, but it was too expensive for a solo traveler like me. And, joining tours was a good way for me to meet new people. 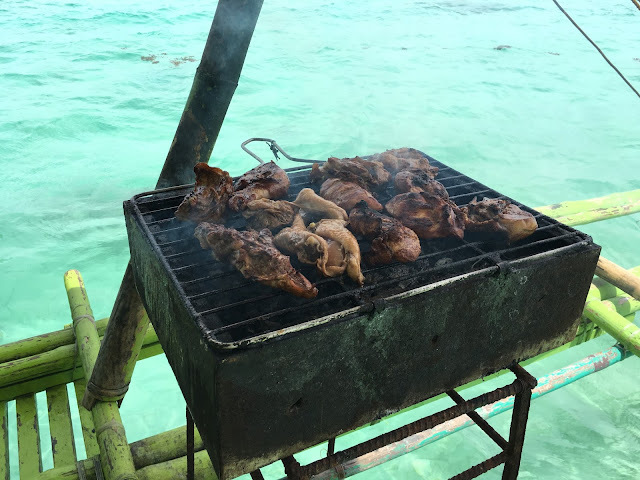 So, I got the Island Escapade Tour (Malcapuya Island, Banana Island and Bulog Dos Island, P 1,200.00) and the Coron Island Tour A (Kayangan Lake, Balinsasayaw Floating House, Banol Beach, Twin Lagoon, CYC Beach, and Smith Coral Garden, P 1,050.00). I wanted to get the highlights tour, which included Barracuda Lake and Siete Pecados, but couldn’t find an operator. 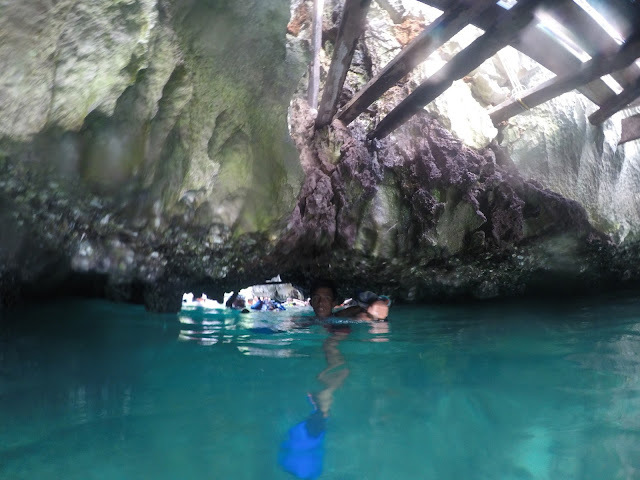 All I can say that despite me missing some of the highlights of Coron, I definitely had a memorable vacation. The beaches were so beautiful. Their white sands called for those lounging moments, staring at the endless blues, with a beer in one hand, and toes dipped in the sands. 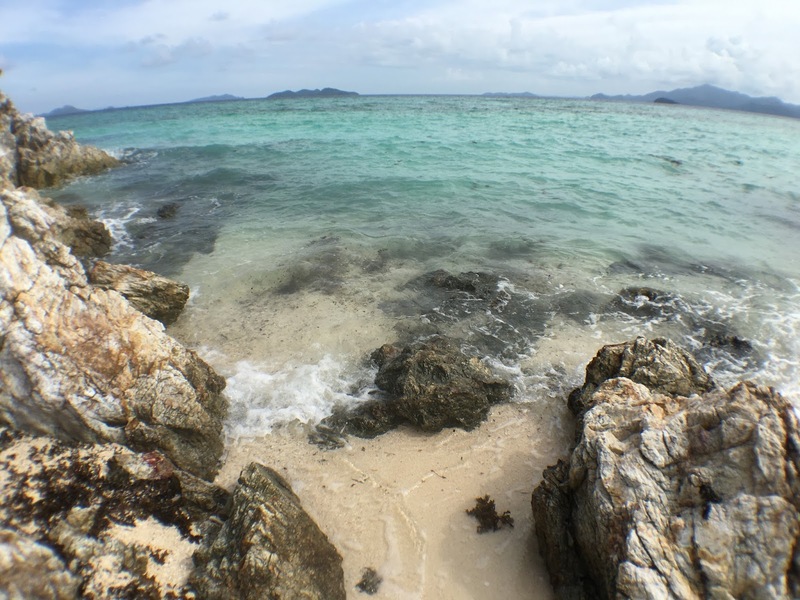 But, there were peaks that give amazing views; rock formations that are perfect for snaps; and bustling underwater scenes. 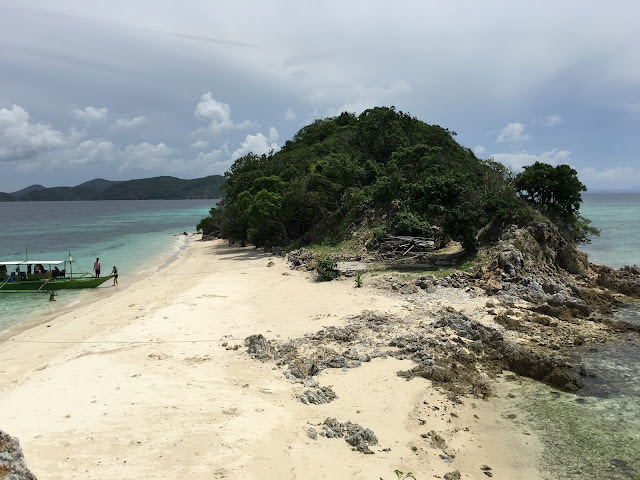 Staying overnight on any of those islands would have been better, but there was still so much to see in Coron, and although it is cliché, so little time. 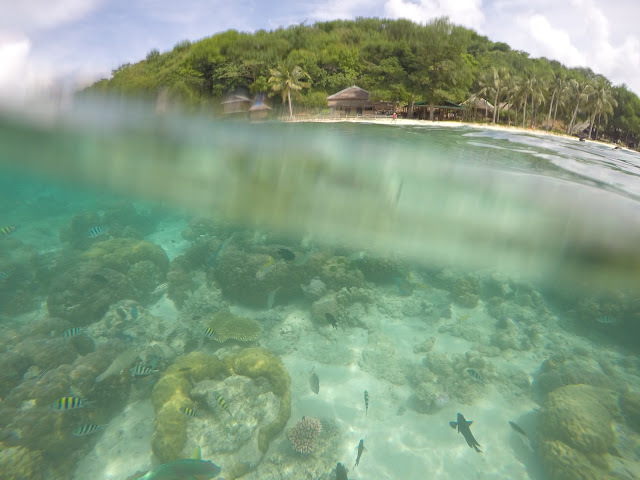 Plus, who would want to miss one of the most photographed spots in Coron? 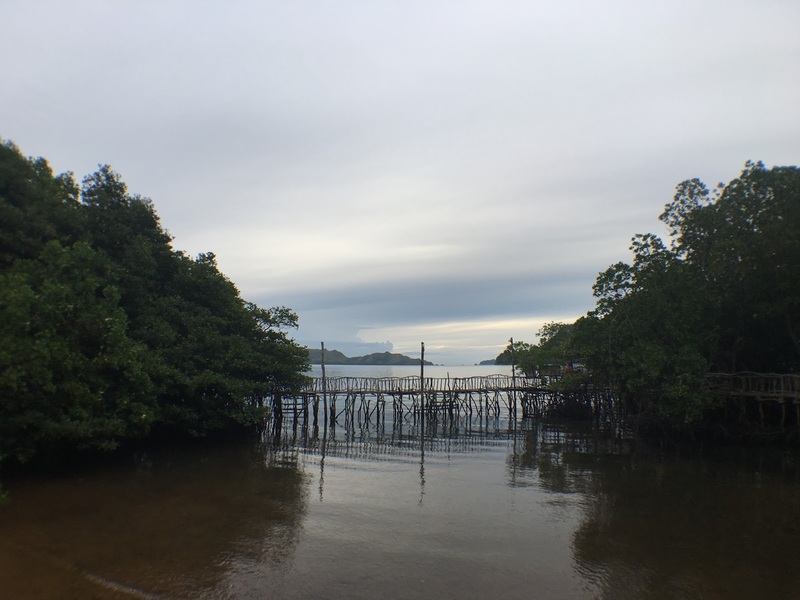 Lake Kayangan is one of Coron’s primary attractions. It’s a steep 10-minute climb to get to that photo spot, and another steep climb down to get to the lake. There’s a wooden walkway to stash things. Underwater is like a moonscape. Surrounding it are majestic karst landscapes. Another must-see is the Twin Lagoon. It has two bodies of water separated by Karst Wall. Just like Kayangan, it has brackish water. The highlight of this attraction is the small fissure that guests must go into to get into the second lagoon. Well, there is also an option to climb up the rocks. And, of course, must also mention that food that comes in the tour. 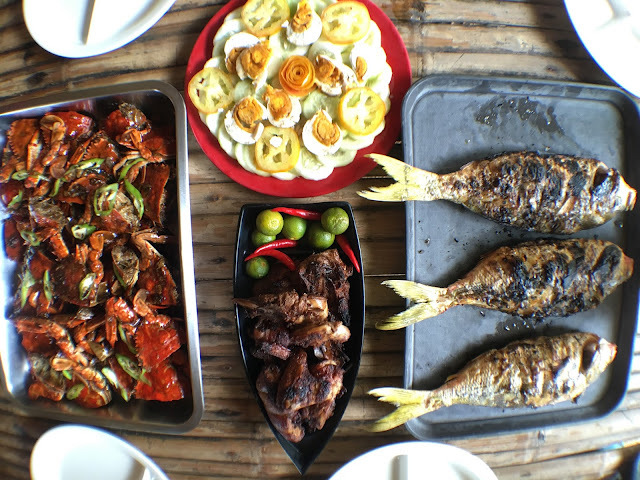 We had generous servings of crabs, fish, pork or chicken, vegetables, and fruits. These were all served by the beach. Summing everything up, I can say that Coron is affordable even for solo travelers, even if lodging solo in a deluxe, air-conditioned room. There are also fans and small rooms available, by the way. So, if you’ve been wanting to backpack but have never done so on your own before, or just want another getaway, go to Coron.